The Tea Exporter’s Association (TEA) has complained of the high taxes imposed on the sector. They lament that every exporter should renew their licence with the Tea Board (SLTB) annually at a cost of Rs. 500,000 for large and medium tea companies and Rs. 50,000 for small companies. organizations also add to the operational cost of tea exporters. According to Sri Lanka Customs data over Rs. 2 billion per annum is collected from tea exporters as CESS on bulk and value added tea exports. A further Rs. 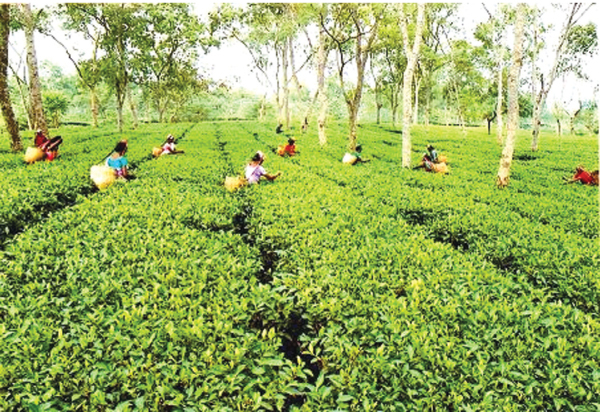 1 billion is collected as Tea Promotion Levy by SLTB from the exporters. The members of Tea Exporter’s Association point out that this happening at a time when tea production is on a declining trend in the last few years due to many issues. The exporters are also worried about the slow implementation of budget proposals related to tea export sector. It has been proposed to abolish the Import and Export Control Department Fee of 1% of CIF value on import of tea for re-export purposes to support the tea industry through a more simplified tax and tariff structure in the 2017 Budget. They also point out that Tea Fund since the establishment in November 2010 conducted only a few useful promotional activities have been undertaken in foreign markets and as a result the accumulation of the fund has now reached Rs 6 to 7 billion. “We strongly believe that further accumulation of funds may prompt the Treasury to force the Tea Board to use the idling funds for recurrent expenditure or for other non-promotional activities”. In view of the current situation, TEA has requested SLTB to initiate action to suspend the tea promotion levy until the launch of Global Ceylon Tea Campaign is finalised.